The Injection Mold is nothing More Than a Heat Exchanger, and if the cooling elements are not properly featured, you will have untold processing issues. For years (at least in US) the standard for water channels was to use 7/16" dia bores. This standard size was selected for a variety of reasons and mainly to agree with the hardware sizes that have been used for connectors commonly available. The size of these water channels is not as important as the placement/positioning within the Core/Cavity blocks. Most times it is difficult to position them in the desired position due to Ejector Pins and other Moving Elements within the tool. The type of Water System used at the Molding Facility also has a significant effect on the efficiency of how your tool runs.....Are Chillers used? Tower Chiller? There are certainly many elements to validate when it comes to Cooling. PFMOLD. When considering the secondary mold function, ie that of a heat exchanger it is not achieving uniform temperature across the injection mould which is important. The amount of heat energy absorbed by the mould varies dependent on the flow of material through the cavity. Around feed points there will be maximum heat generated due to material flow and shear. At the end of fill the material temperature will have reduced and the surface of the injection mold will absorb less heat energy. Physical restrictions which restrict size of cooling channels such as small inserts, deep sections, etc have to be considered in each case. Also don't forget that whatever size your cooling channels, when you come to connect them to supply and return pipes you will have a reduction in area, due to the need to fit connectors. To maintain injection mold temperature uniformity in the molding area. Sometimes hot oil circulation is also used to heat the mold to certain temperature or maintain the mold at a certain temperature. The type of plastic plays a very important role in deciding the diameter of the cooling channels. 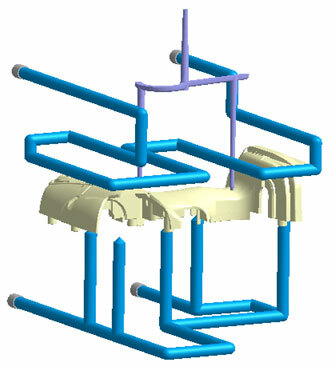 The Mold Design requirement is also a criterion (what is the quantity expected from a single mold). The above will help us decide whether cooling is required and the diameter of the cooling pipes. Search Google for Injection Mold Design handbooks. Many have calculations for channel size. Size of channel also determines how close the channels should be to the part. Too large dia, too closely spaced, and too close and the mold steel will move under molding pressure. Pump G/Minute, number of circuits, diameter of channels, number of 90 degree bends in circuits, etc. All these need to be review for optimum water flow, pressure losses, heat removal etc. 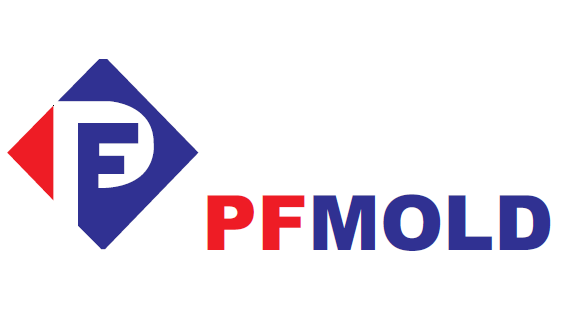 Previous: Quick guide to learn how PFMOLD supervise your projects in 4 efficient stages. Next: What is Injection Mold?